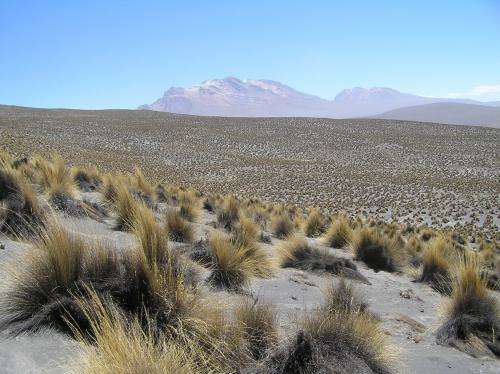 A dryland ecosystem in Peru that was one of the sites sampled by researchers in their global study of sites in 16 countries. Credit: David Eldridge et al. 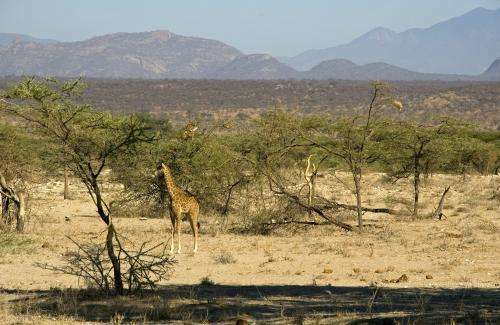 An increase in aridity due to global warming will disturb the balance of nutrients in the soil and reduce productivity of the world's drylands, which support millions of people, a landmark study predicts. "As the world's population grows, people will increasingly rely on marginal lands – particularly drylands - for production of food, wood and biofuels. But these ecosystems will be severely affected by imbalances in the cycle of carbon, nitrogen and phosphorus." Meanwhile, in the real world, the increased CO2 in the atmosphere is greening desert regions like the Sahel, while the minimal increase in warming has increased rainfall. Only inside perpetually failing computer models do you find disaster. "The research shows that increasing aridity is associated with a reduction in carbon and nitrogen in the soil and an increase in phosphorus." "Thornton, P. E. et al. Influence of carbon–nitrogen cycle coupling on land model response to CO2 fertilization and climate variability. Glob. Biogeochem. Cycles 21, GB4018 (2007)"
"Nutrient cycling affects carbon uptake by the terrestrial biosphere and imposes controls on carbon cycle response to variation in temperature and precipitation, but nutrient cycling is ignored in most global coupled models of the carbon cycle and climate system." Acid rains from vaporized carbolic-acid and coal burning sulfur have an devastating impact on soil nutrients Add drought conditions and extreme heat from global warming effects and long term soil nutrients could vanish in under a decade. Farmers could see their entire acreage turned to desert. That doesn't sound like a very good thing to the terrestrial biosphere. Still, the most important aspect of farming remains freshwater. Freshwater has to be there at the right time for the environment to live. Drought conditions, heat waves, flooding rainfall excesses due to global warming will upend natural balances and damage the vital bio-cycles farmers rely on.